If you're looking for a secured credit card, you might find that the Capital One Secured MasterCard is one of the better secured credit cards on the market. Depending on your credit, you could pay the lowest security deposit offered by any secured credit card. The Capital One Secured MasterCard doesn't pay any rewards on purchases, unlike the Discover It Secured Card, but that doesn't mean it's any less attractive. Perhaps the best feature of the Capital One Secured MasterCard is the security deposit. If you're familiar with secured credit cards, then you know you have to pay a security deposit against the credit limit to be able to use the credit card. The deposit goes into a savings account and serves as collateral in case you ever default on your credit card balance. If you don't default, your deposit will be returned to you. With most secured credit cards, your credit limit is equal to your security deposit. Here's where the Capital One Secured MasterCard shines. If you qualify based on your creditworthiness, you can pay a lower security deposit of $49 or $99, and still get a $200 credit limit. And even if you don't qualify for one of the lower security deposits, you can make a minimum security deposit of $200 to get the credit card. You can pay a higher security deposit if you prefer. Capital One allows you to make a security deposit of up to $3,000, but you must make the deposit before your account opens. Once you're approved, you can use the credit card to start rebuilding your credit history. Capital One automatically reports your payment history to the credit bureaus, so using your credit card wisely will help you improve your credit so you can qualify for better credit cards in the future. If you make your first five payments on time, Capital One says it will give you an automatic credit limit increase and you won't have to pay an additional security deposit to get it. Many secured credit cards charge an annual fee, but not the Capital One Secured MasterCard. 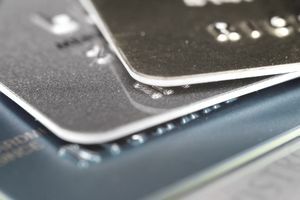 The card has a steep APR of 24.99 percent on purchases and cash advances, but you'll find this same or higher APR on many credit cards aimed at consumers with bad, low or no credit. If you pay your balance in full each month and avoid cash advances, you won't have to pay any interest on your balance. Cash advances have a fee of $10 or 3 percent, whichever is greater. Late payments are charged a fee up to $35. It's important to understand that you can't skip your monthly payment just because you've made a security deposit. Think about it like the security deposit you pay for an apartment that you're renting. The deposit is held in case of damages, but you're still responsible for making your monthly rent payments. As long as you pay your rent on time each month and return the apartment with no damages, you get your deposit back. While Capital One will only require you to make your minimum payment to keep your account in good standing, it's best to pay your balance in full to avoid interest and stay out of debt. Whether you pay the minimum, the full balance, or something in between, make sure it's always on time. Is the Milestone Gold MasterCard a Legit Credit Card?